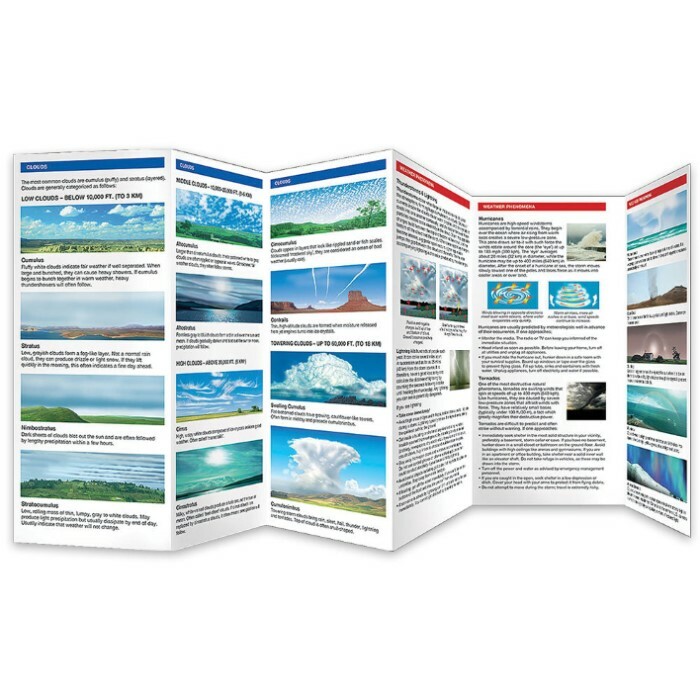 Weather Folding Pocket Guide To Clouds And More | BUDK.com - Knives & Swords At The Lowest Prices! Waterford's guide to Weather is the ideal, pocket-sized folding guide to clouds, storms and weather patterns. 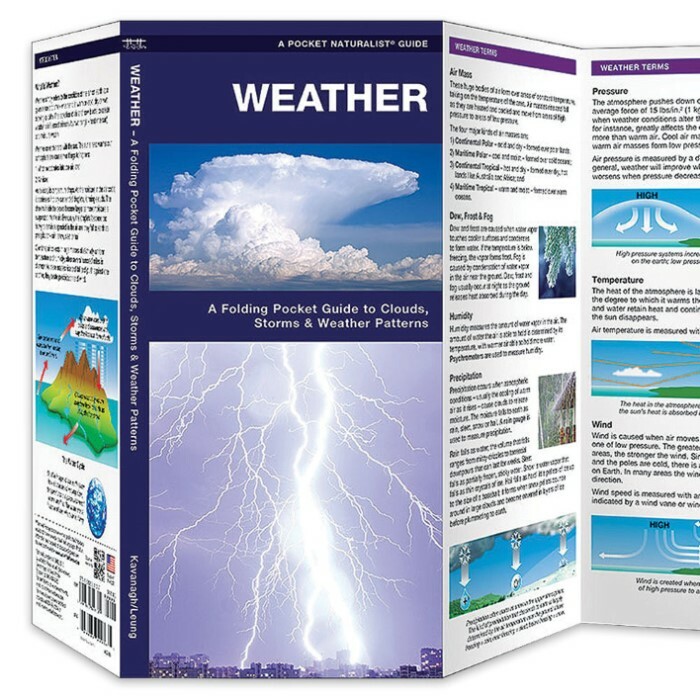 A must-have reference for novice meteorologists, this guide teaches how and why weather occurs and how to anticipate weather changes. It also highlights weather phenomena ranging from hurricanes and tornadoes to waterspouts and dust devils and weather lore, too. Laminated for durability, this guide is a great source of portable information and ideal for field use by novices and experts alike.